On a cold morning in February 2015, a group of men left the spacious Google X headquarters in Mountain View, California, before daybreak. 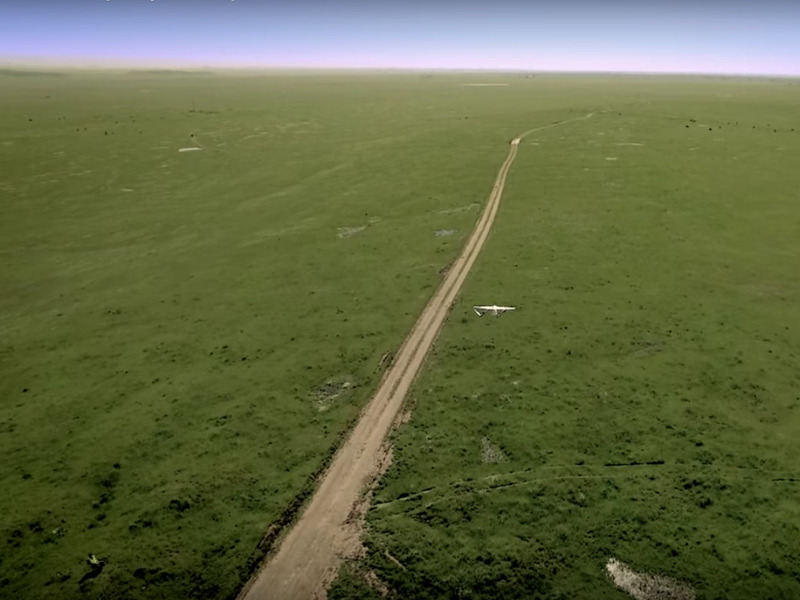 They travelled more than two hours east to some trailers parked in the middle of nowhere, on private ranch lands in California’s Central Valley. 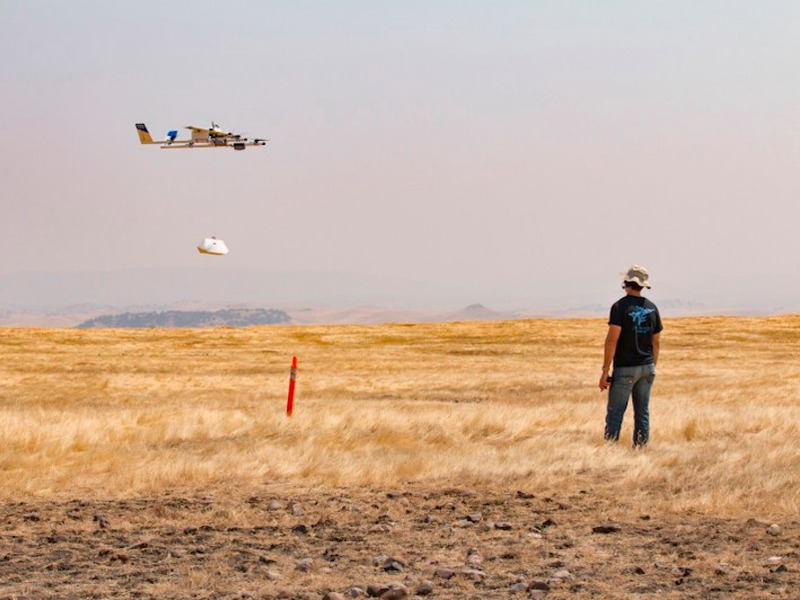 The men were there to test experimental drones for Google’s celebrated research-and-development group, known as Google X (the group now calls itself simply “X”). The work was gruelling and involved 10- to 12-hour days of physically demanding labour in the extreme temperatures of the Central Valley, outside the town of Merced. The men had complained to their supervisors about the hours in these conditions, but they felt their requests were largely ignored. And on this day, their complaints turned into terror. One of their team members, a man in his mid-50s, collapsed on the job. He fell to the ground and jerked violently, as if he was crawling. The incident was caught on the field video. Miles from anywhere, his coworkers called an ambulance and drove as fast as they could to meet it en route. He was taken to a local hospital and held overnight. Some people at Google X say he had a heart attack. Others say it was a grand mal seizure. Word of the incident spread throughout the company, with rumours swirling that it had been caused by exhaustion and stress, multiple sources told Business Insider. While the man’s health recovered, his job at Google did not. After taking a couple of months’ leave, he requested a transfer to a less physically demanding role within the team or elsewhere at Google X. Instead, he was sent back out into the field, essentially demoted, sources say, and eventually pushed out of the company. We have changed the name of the person who experienced this medical emergency to “Joe,” because he declined to give us a statement and requested that Business Insider not publish his name. But half a dozen people familiar with this incident shared details, including photos and emails, with Business Insider. YouTube/Project WingProject Wing test flight. Some members of the Project Wing field team painted an alarming picture of hostile work conditions driven by engineers and managers back at headquarters who scheduled the group to conduct loads of tests, thereby producing loads of data, despite the long hours outdoors that such a schedule required. What’s more, the field crew found much of their feedback and expertise on how to improve their circumstances discounted or ignored, in part, some say, because their backgrounds in the military were allegedly viewed disdainfully by others on their team. “It was unconscionable” to make that team “work that hard,” one person told us about this team’s experiences. 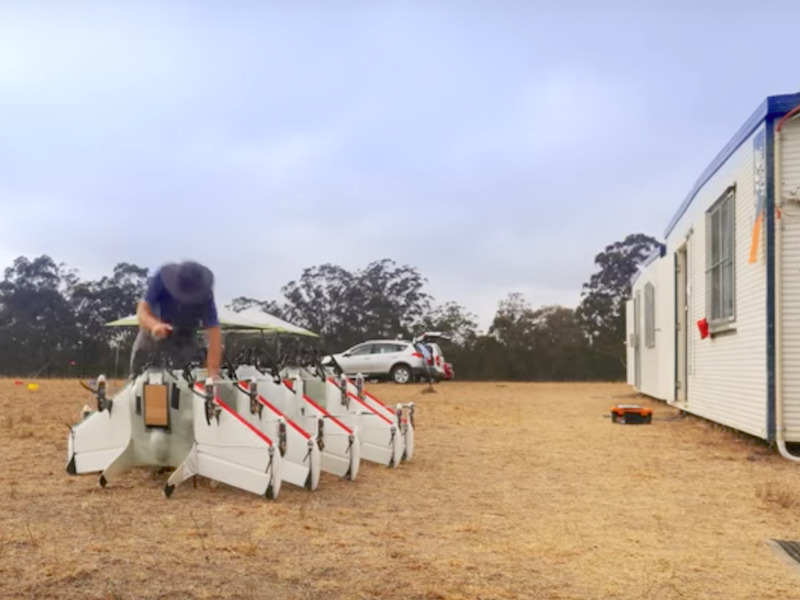 The story of the drone crew reveals some of the problems that have plagued Google’s efforts to build advanced delivery drones, and it illustrates one of the risks when Silicon Valley’s worship of workaholism and data crash into real people doing physically demanding jobs. It’s a dangerous dynamic as companies like Google, Facebook, and cash-rich startups expand into new industries, from aerospace and delivery to space exploration and self-driving cars. It also comes at a time when the work conditions and cultures across America’s tech companies are under scrutiny, in the wake of sexual-harassment allegations at Uber. “It’s just not right in Silicon Valley,” one person told us. The Valley is grappling with its reputation for being a “bro” culture dominated by entitled, young men with degrees from prestigious universities. It’s a mentality that can result in exclusion and the victimization of a broad swath of people, from women and minorities to older men and even veterans. 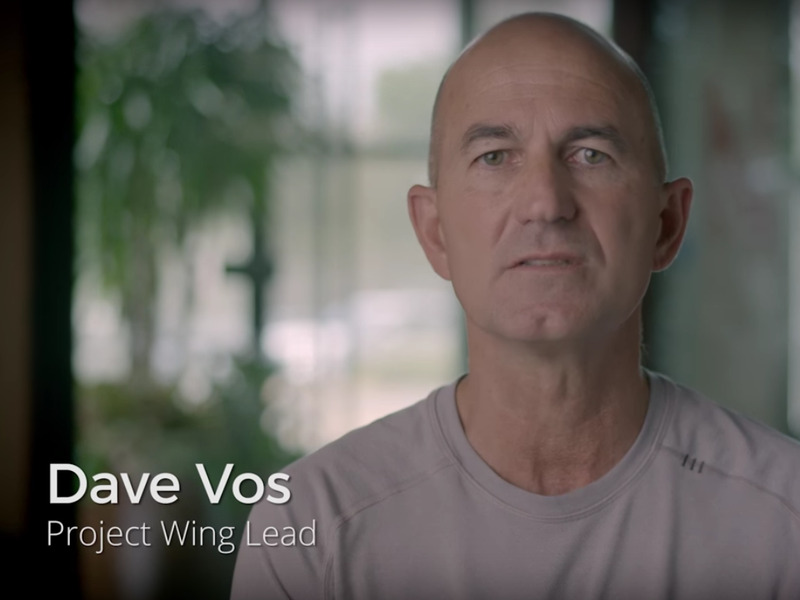 For about five months, Joe had been a flight test engineer for Project Wing. 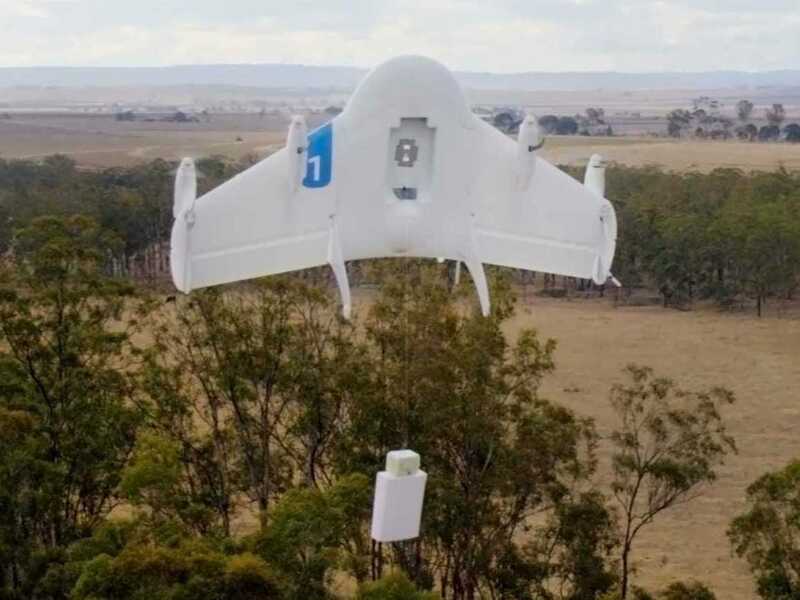 The Wing team was developing a delivery drone, racing against Amazon and drone makers like DJI to invent what could become a massive new market, delivering everything from food to medicine to consumers’ doorsteps. GoogleGoogle Project Wing drone-delivery project. The team had some successful and highly publicized tests in Australia the year before, and got the attention of Google cofounder Sergey Brin. Brin even “moved a desk into the bull pen of Project Wing where everyone works,” one person said. 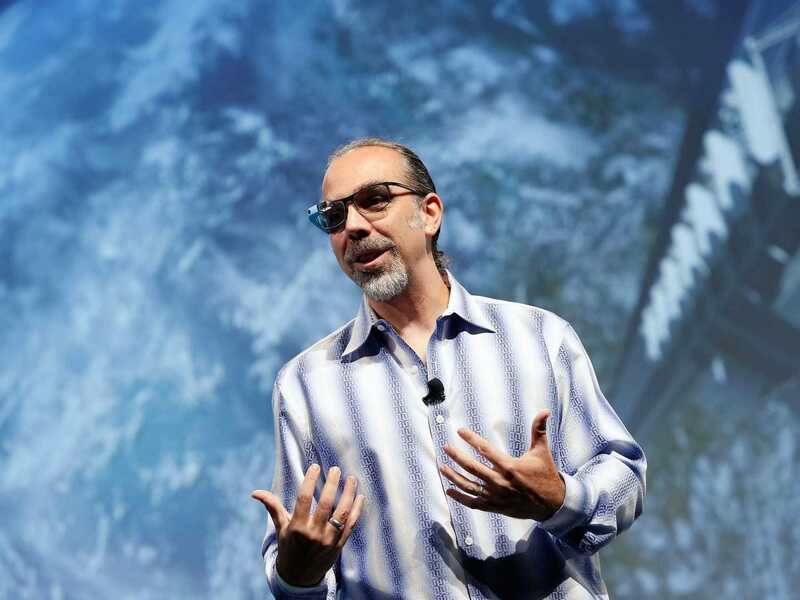 Google X was his brainchild and he often kept tabs on its projects. But things weren’t going so well. 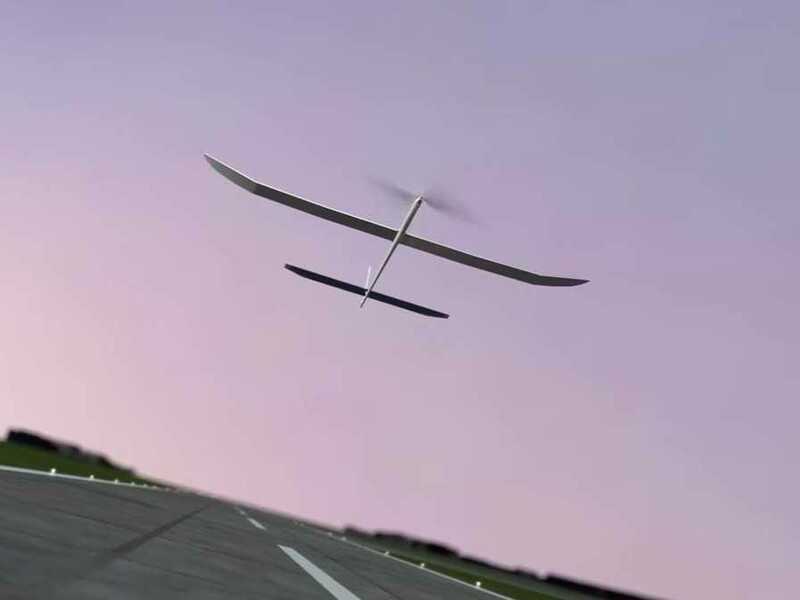 The Project Wing drone was based on a single-wing design that took off and landed upright, like a helicopter. But the drone kept toppling over on its nose. To solve the design problems, the flight-testing crew’s supervisor, Tony Nannini, wanted to do what Google managers often do in such situations: Collect loads of data. Nannini — who worked in the corporate offices in Mountain View, California, not in the field — crafted a schedule for “thousands of tests,” one person told us. 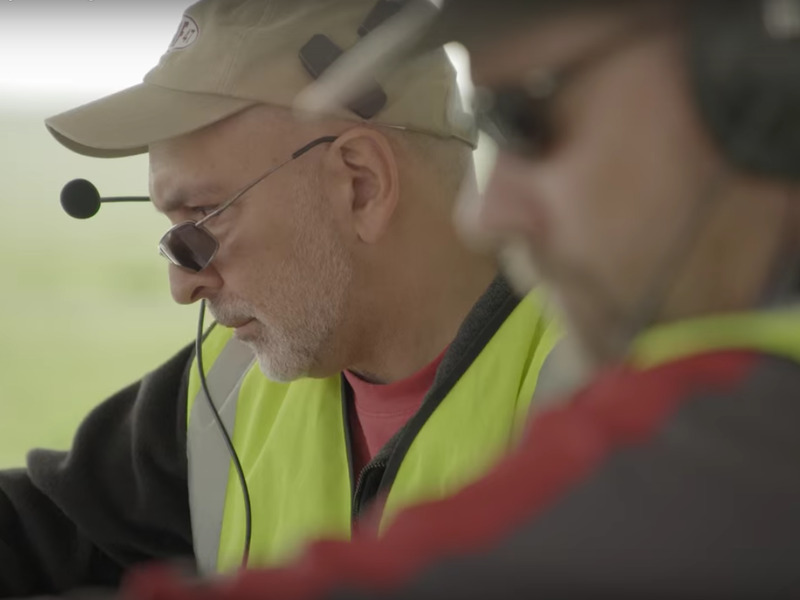 For Joe and the rest of the flight-test crew, that meant 10- to 12-hour days outdoors flying the drones, sometimes in freezing temperatures or while standing in fields of two-inch-deep mud and cow excrement or, at other times, dealing with the Central Valley’s infamous 100-plus-degree heat. While Joe was the only person we know of to be hospitalized, other people also complained of exhaustion and of difficulty working in the harsh conditions, particularly the heat, according to documents viewed by Business Insider. Although the worksite included an air-conditioned trailer for the crew, the work of flying drones required spending long periods outside, sources said. The crew also complained that the work schedule was so demanding, with days spent away from home, it left them little time or energy for a home life. And while they were able to take advantage of some of Google’s perks (one person mentioned Google’s free drop-off/pick-up laundry service), they were unable to enjoy most of the benefits their coworkers had, such as social gatherings, lectures, and the like. Several people we spoke with said that Joe and the flight-testing crew at Project Wing seemed to be treated poorly in part because they were labelled ex-military. Joe was not actually a veteran but had worked as a civilian for the military, people told us. The team included several other retired and former military folks. Google/YouTube/Project WingProject Wing drone pilots. There were conflicts between the flight-testing crew and their immediate supervisor, Nannini, as well as the head of the project at the time, Dave Vos, according to emails shared with Business Insider. From the testers’ point of view, they had loads of experience with sophisticated aircraft. They wanted clear rules, better safety protocols, and reasonable work expectations from the Project Wing managers. At the same time, some members of the flight-testing crew felt like their expertise on how to accomplish their mission was being dismissed, people told us. In contrast, some of the team’s managers felt as if the crew’s skills with combat aeroplanes and military drones made them somewhat overqualified and their ideas overkill for the task at hand, according to a person close to the company. It was a disconnect between two groups with very different mentalities about how to get things done. Tension arose. A project manager from headquarters allegedly made a disparaging comment to the crew about military people and their ability to think independently. The crew members accused Nannini of condoning such attitudes. Team members complained about the alleged antimilitary attitude to a top manager and then, later, to the Google X human-resources representative, Chelsea Bailey. Emails reviewed by Business Insider, sent by two separate team members to Google HR, cite a perception of bias against veterans. Others went to HR over everything from project management to the hours required, to safety and general working conditions, according to emails seen by Business Insider. When Google X conducted its annual employee-satisfaction survey, internally called “Alphageist,” the flight-test team gave Nannini very low ratings. He gave them low employee-performance ratings, too, multiple people told us. The low employee-performance ratings meant that they wouldn’t qualify to be transferred to other jobs within Google, we understand. This was particularly hard on Joe, people said. Nannini did not respond to our request for comment. But Google X spokeswoman Courtney Hohne defended Nanini’s management tactics, saying, “Just because a manager doesn’t accept someone’s idea or recommendation doesn’t mean they’re dismissive of this person’s professional skills or background. Ultimately a manager’s job, particularly when testing technologies that are unlike those that have come before, is to sift through a variety of possibilities and chart the most promising path. “Like other good people managers at X, Tony has worked hard to build a team of people with diverse backgrounds and perspectives,” Hohne said. Hohne denied that, saying that Google X has a separate workplace-investigation team that operates completely independently, and that the company has confidential hotlines and advisory groups for employees to turn to. The one person no one blamed was Brin, the Google cofounder back at X headquarters. While everyone on the Wing team chatted with Brin (and described him as a “nice guy” filled with ideas on how to solve technical challenges), they didn’t lodge their complaints to him, considering him to be too far above their boss’s head to go to for such matters. Hohne also denied that work conditions for Project Wing field people were harsh and said that employees were “empowered” to take breaks. “The Wing site has an air-conditioned trailer with plenty of snacks and drinks, so our team can get the rest and shade they need. We also monitor working hours and conditions, and we adjust our testing schedules accordingly,” Hohne said. After he collapsed, Joe took a couple of months of state-paid disability leave and then got the doctor’s OK to return to work. He asked to be transferred to another, less physical team on Project Wing or within Google X. He was an electrical engineer, in addition to being a pilot, drone pilot, and flight-test engineer, with decades of experience, sources said. But he was told no other positions were available for him, people told us. Instead, Joe was demoted from flight-test engineer to a “ground operator” job with the field crew. Because of the medical incident, his pilot’s licence was in question, so he was no longer allowed to fly drones. This job still involved long workdays outdoors helping to lug gear and otherwise conduct tests. While he worked that job, he tried to transfer to other jobs within Google. But then he was given a poor performance review. Again, that’s the kiss of death for transfer requests at Google. Only highly rated employees can move to other jobs, sources say. In December, after working as a ground operator for months, he was written up on a “performance plan,” the final step before firing someone at Google, sources tell us. Ultimately, Joe was given a choice: Accept being laid off, with severance, and sign the standard papers waiving his right to sue, or be fired with a long paper trail showing poor-performance assessments, sources told us. “They laid him off saying he was not a team player. He almost gave his life for the company, but he’s not a team player?” one person told us. The worst part is that, with his pilot’s licence in jeopardy (perhaps permanently), Joe may not be able to fly aircraft again, which limits his abilities to get other jobs in his field. To understand why Joe and the rest of this crew didn’t just up and quit, it’s necessary to go back to 2014 when a bunch of people from Facebook wearing hoodies and tennis shoes flew private jets to New Mexico and made an offer to buy a startup called Titan Aerospace. Titan Aerospace was creating solar-powered drones that could stay aloft for years at a time and beam internet access down to earth. It fit in with Facebook’s Internet.org project. Facebook reportedly offered $US60 million to buy Titan. But Google, which had similar ambitions, swooped in and outbid Facebook, acquiring Titan in April 2014. Titan employees were thrilled. Their hard-to-value-and-sell startup stock would become Google stock, vesting over four years, sources told us. All they had to do was continue working at a company with a reputation as a great place to work. At first Google was all in. It built Titan a brand-new $US15 million building at a small airport in a suburb of Albuquerque. But eight months after employees moved into the new building, Google started to “dismantle” Titan, as one person described it. In August 2015, Google reorganized itself into Alphabet, transferring its hodgepodge of “moonshot” businesses into a category called “other bets.” Facing public scrutiny and business objectives for the first time, several of those “other bets” had very public meltdowns. In October 2015, Google was rethinking Titan too. It decided to move Titan to Mountain View and laid off a bunch of employees. It gave the remaining Titan staffers generous relocation assistance to move to California, enough to cover the cost of things like taking a $US60,000 loss on a fast sale of a home, people told us. Flickr/TechcrunchAstro Teller, head of the Google X lab, wearing a pair of Google Glass. Employees simply had to commit to a standard term: stay at Google for a year or be obligated to pay back the relocation money. A month after relocating those employees, and despite an investment we estimate to be upwards of $US75 million, Google shut Titan down completely and laid off more Titan employees. Some found other jobs inside of Google, including the flight-testing folks who landed at Project Wing. But when problems arose at Wing, former Titan staffers felt stuck. Leaving before one year meant being on the hook to repay maybe tens of thousands of dollars that had already been spent moving to California. For some it also meant forfeiting valuable unvested stock. Low-performance reviews meant they couldn’t transfer into other roles at Google. It was a lose-lose situation. Even so, some of the team working “couldn’t take it anymore” and did quit before their full payout matured, sources say. Since these troubles last year, there was a coup of sorts within the Project Wing group, people told us. The single-wing design was eventually scrapped, replaced by a new design with a fuselage. The new drone successfully delivered Chipotle food in a special test site in Virginia in September. The leader of the team, David Vos, who backed Nannini’s testing schedule and allegedly had his share of head-butting with the flight-testing team, left the company in October, with people confirming to us he was essentially pushed out. Vos did not respond to a request for comment. Nannini remains at X with Project Wing. Several people told us he was promoted, but a representative would neither confirm nor deny that. Each X project is its own dominion and each winds up with its own culture, one person told us. Project Wing was particularly known inside Google X for its politics. The experience for veterans in other parts of X, or parent company Alphabet, may be completely different. Hohne, the Google X spokeswoman, says that plenty of ex-military people are having fabulous careers at X, including some in leadership positions, and she lauded the unique skills, judgment, and field experience that veterans bring. She also said that today, more than half of the current Project Wing team has been in the military or spent parts of their careers in the defence industry, as is common in aviation circles. Hohne declined to comment on the specifics of Joe’s situation, citing HR confidentiality, but said that safety and employee well-being are of the highest priority and that the company follows all applicable regulations. Google X also employs “experts” to help teams mitigate challenging work environments, and the Project Wing team made changes to the test site after spending time with one such adviser. If an employee has a medical issue, Google follows the guidance and restrictions of the medical provider and engages with the employee to determine if a “reasonable accommodation” is necessary, she said. But some say the problem is deeper and that the Wing team’s experience is symptomatic of a bias that the tech company has yet to fully come to terms with. “Google makes a very big public effort with employees to try and eliminate bias,” one person with knowledge of Google X said. But for “older” employees and for “anybody who was in the military,” at least in Project Wing, “there’s a huge unconscious bias,” this person said. As Silicon Valley takes a hard look in the mirror, it is increasingly apparent it needs to examine its whole culture. It needs to make sure its mantra of “work fast and break things” applies only to its technology and not to its people. Want to read a more in-depth view on the trends influencing Australian business and the global economy? BI / Research is designed to help executives and industry leaders understand the major challenges and opportunities for industry, technology, strategy and the economy in the future. Sign up for free at research.businessinsider.com.au. Receive notifications straight to your phone.